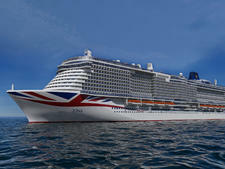 Ventura, which launched in 2008, and sister ship Azura (2010), aimed to break the mould for P&O Cruises' ships -- bigger, contemporary and family-friendly. 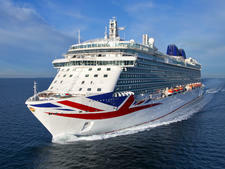 The idea was to transform what many people consider P&O Cruises' somewhat stuffy ambience to one more in tune with the times -- as well as making a play for the market all UK cruise lines are chasing: new to cruise. By popular consensus, they appear to have succeeded. Firstly, Ventura is significantly larger -- by 30 percent -- than any other ship in the fleet (bar Britannia, the flagship). This means there's more room for contemporary amenities such as expanded kids' facilities, a vast spa, numerous dining venues, and lots of recreational activities (three pools, sports court, golf nets). There is also a significant change in décor: the walls are covered in contemporary art and the decor is a combination of rich burgundy carpets and cream-coloured walls: reminiscent of a five-star London hotel. In fact, it is hard to find signs of traditional P&O Cruises in the hardware -- no card room for example (a mainstay on the older, smaller adults-only ships), no faux fireplaces or trompe d'oeil artwork to be found anywhere. There are also no art auctions, just a gallery with discreetly priced artwork. There's a casino onboard as well, albeit a small one. The passengers make up is also markedly different. 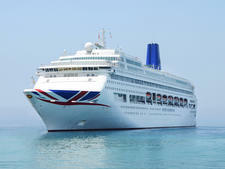 Yes, there are still the over-60s that P&O is known for attracting, but also lots of families with children, especially in the school holidays. The ship has all the popular mainstays onboard most of the rest of the fleet including wine guru Olly Smith's The Glass House and superb contemporary Indian restaurant Sindhu; as well as adults-only sundeck area The Retreat and a large kids club called The Reef. 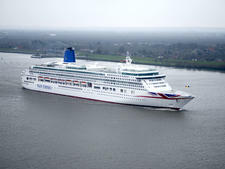 The line has had two refits since it first went into service, and one minor one. The most recent, in April 2018, saw the following upgrades: the Arena Theatre was fitted with a brand new LED wall installation, similar to the one found on flagship Britannia and sister Azura. The shopping area was spruced up with a large glass window display and a number of new brands were introduced for sale including Longines and Liu Jo. The Waterside and The Beach House had new flooring, tiling carpets and furniture. Carpets were replaced in many restaurants and public space and Dixons the retail store was expanded. A mini-refit in 2015 saw Marco Pierre White's The White Room replaced by The Epicurean, a molecular gastronomy restaurant which debuted on Britannia. 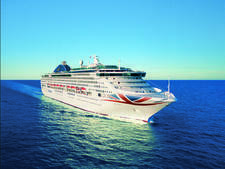 Overall, Ventura does a good job of catering to families in holiday times and the classic P&O Cruises passenger outside of those times. 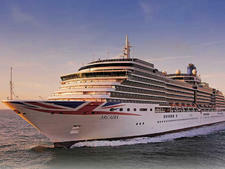 The line has also done a good job of keeping the ship contemporary, despite it moving into its 11th year of service. In school holidays expect a large number of families with young children with the average age hovering around the early- to mid-40s. Outside of these times and on longer cruises, the average age rises to a more traditional P&O crowd: over-60s and no kids. Ventura is also popular with solo passengers thanks to its 18 purpose-built single cabins and activities for single travellers, including a number of solo afternoon tea parties and regular get-togethers with crew and officers for those travelling alone. 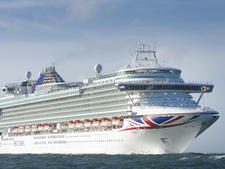 Note that passengers are almost exclusively British, with many so loyal they would not dream of cruising with another line. Note that even though this ship is family friendly and has a more relaxed vibe -- formal still means full black tie in the public rooms. Ventura might break many of P&O Cruises' traditions, but dress code still rules -- and that also applies to older children. A £7 GBP per person auto gratuity is added to your bill daily (for over 12s). Other tips are at your discretion. Currency is in GBP pounds.